Fashion Week San Diego ® is a traditional fashion week with 7 nights of events, 4 of which are open to the general public! Each night of #FWSD16 is completely unique, and has its own customized Events, Designers, and Themes. Rather than clothing – Hair, Makeup & Art will be the focal point of this evening! Guests will enjoy a special presentation from Artist Shane Bowden and for the first time ever, an exclusive one of a kind FWSD original piece of art by Shane Bowden himself will be for sale! Partial proceeds will go back to FAB Authority. Did you miss the FWSD16 Spring Showcase? Here is your chance to see it in 3D! Passage Productions will premier their Virtual Reality video from Spring Showcase at Harrah’s Resort Southern California along with a presentation about VR and this as a new art from. Detour Salon: The lines are blurred between art, fashion, and beauty. Inspired by artist Shane Bowden and against the backdrop of his energetic art, Detour’s award winning and street savvy stylists use their familiar medium of hair to deconstruct, reform shapes and challenge standards of beauty. Detour’s work will feature French underwear and clothing brand Pullin – renowned for its quality and whimsical prints, as well as Kevin Murphy hair care. Their partnership with Kevin Murphy is a natural fit as it was literally born on set and on the catwalks around the world. Kevin Murphy creates the products that creates the styles the public craves. MC & Red Carpet Host, Jeff Krapf. Runway Shows featuring 13 of the 26 Fashion Week San Diego 2016 Designers. Featured Designers include (in alphabetical order): B.JASH.I, Chavon Shree, DeAnnah Rae, Fuseik, GFASH Now, Killem with Chic, Laced with B, Luis Rivas, Margaret the Maker, Odd Bird Designs, P. Sangeeta, RACA Designs, Valleau Apparel. Runway Shows featuring 13 of the 26 Fashion Week San Diego 2016 Designers. Featured Designers include (in alphabetical order): Albert Ray Collection, As Much Again, Bryan VaughnBerry, Circa Suzy Vintage Couture, Gloria Guerrero, Jaded Marie, LK Fashion, Pashn by Survi, Territa Torres, The Stylish Bisou, Theo Doro Fairyland, Timmithea, y-u-l-i-y-a. View and shop all the labels and FWSD16 Designer fashions that just debuted on the runway, including other FWSD Vendors & Partners. Annual Fashion Awards at 1:00 PM. PASSES ARE ALMOST SOLD OUT- Get yours HERE before its too late! If you’ve heard of KAABOO, then you know what makes this the ultimate “Mixperience” and why you should make plans to join in the fun! If you haven’t discovered the KAABOO experience yet, here are a few reasons that you’ll want to reserve September 16-18 for a Vacation/Staycation and join us at KAABOO Del Mar! KAABOO has curated the lineup to be a musical journey from legendary classic rockers to some of the latest, most buzz-worthy chart-toppers. Creating a bill that is even more diverse and deep than the inaugural year, KAABOO has established a mix of bands where guests can see their favorites and discover new favorites all in the same weekend. If you’re still waiting to check a live Aerosmith show off your bucket list, this is your chance. Also catch Jimmy Buffett and the Coral Reefer Band, Jack Johnson, Fall Out Boy, Lenny Kravitz, Daryl Hall & John Oates, The Avett Brothers, The Chainsmokers, plus dozens more noteworthy acts. Check out the full lineup at www.kaaboodelmar.com/lineup. 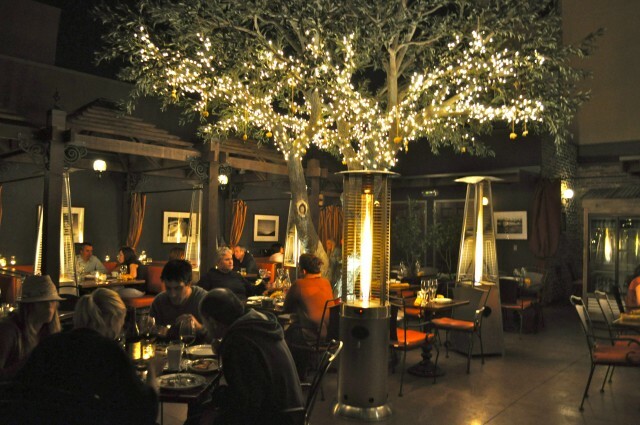 Chill out in our air-conditioned comedy club, Humor Me, with nationally recognized comedians. 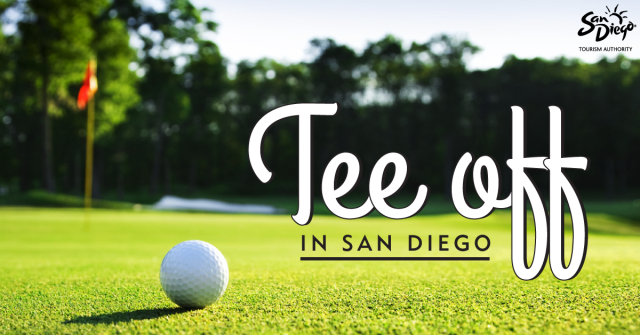 Take a seat as you laugh with Sarah Silverman, Dana Carvey, Cheech and Chong, Darrell Hammond, Vanessa Bayer, and even Del Mar native Taylor Williamson…just to name a few. Even if you’re coming for the music, you’ll enjoy the food! Palate is a foodies delight with tastes from 25 local restaurants and over 50 craft beer, wine and spirits. 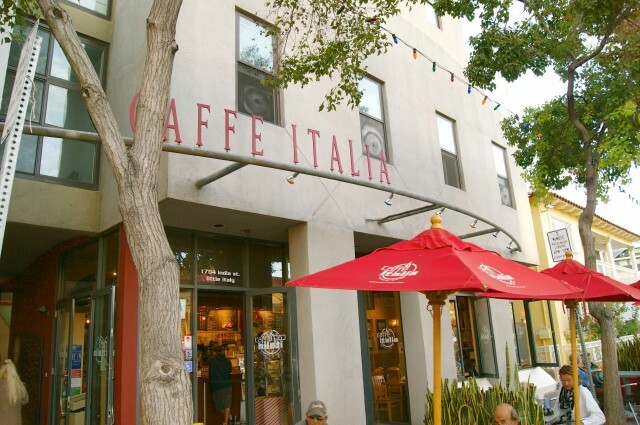 Looking for grub on the go? KAABOO has you covered with gourmet grab-n-go options ranging from an acai bowl from Sambazon to a delicious California-style burger from Caliburger. Looking for a sugar fix – stop into the Dylan’s Candy Bar Pop-Up Shop for a sweet treat. Eat your way through the weekend with the full culinary. Eat and drink your way through the weekend with the full culinary lineup at www.kaaboodelmar.com/the-experience/palate. Take a leisurely stroll through our inspiring contemporary art gallery, featuring curated installations, paintings, sculptures, photography and jewelry from this year’s impressive lineup coming to us from across the country and around the world. 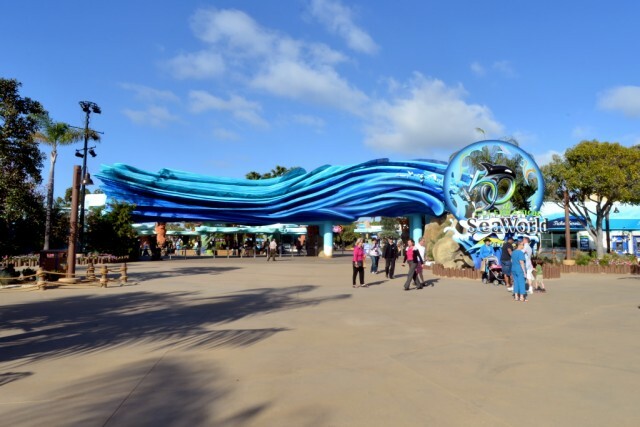 Experience large murals and installations, with some created right in front of your eyes. KAABOO’s public art and indoor exhibition transform the venue into an evolving journey of surprise, delight and discovery. A 3-day live music event doesn’t have to leave you worn down! With KAABOO Del Mar’s Indulgences Lounge presented by Meet Me at the Spa, you can take a break from the action to rejuvenate and refresh. Offering express treatments and full 50-minute spa treatments, you can make an appointment for a manicure, massage or just get a reset on your makeup! And best of all, there are plenty of services for the guys, too! 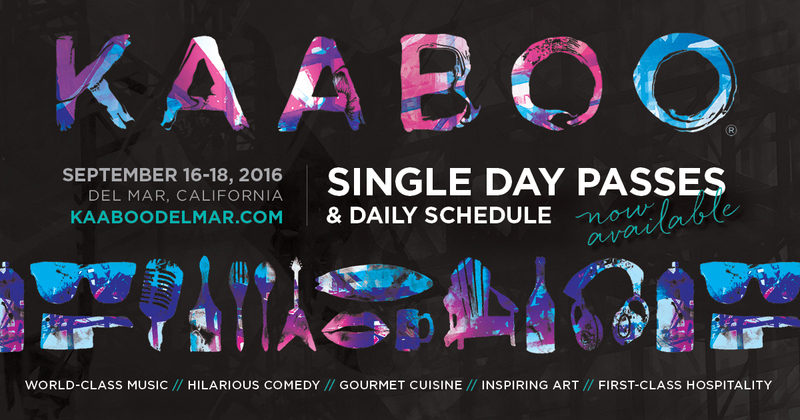 KAABOO is an elevated “mix-perience” and we’re giving you the creature comforts that we, as adults, enjoy! 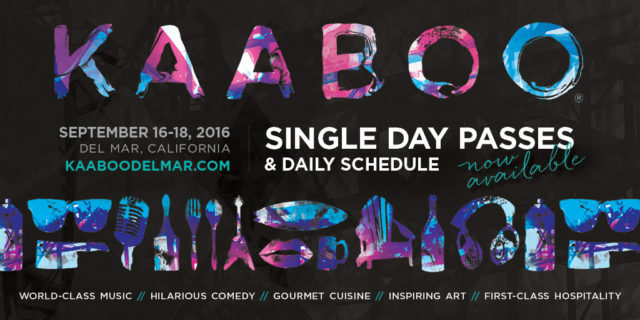 It’s more than your typical festival…KAABOO has all of the makings of a comfortable event. We have plenty of shade and seating, all restrooms are clean with flushable toilets (no portapotties). And there is no dirt, dust or mud to fight through just to have a good time. Amplify your experience with HANG FIVE program. Enjoy dedicated viewing areas, lounges and access to the Thursday Night AMPLIFY event to get your KAABOO Del Mar weekend started sooner! Fleet Week San Diego is so much more than a week! Running September 2 – October 1, 2016, it’s really a whole month. That’s because in San Diego we have 100,000+ active duty military stationed here year-round, and a week to honor and thank them just isn’t enough! 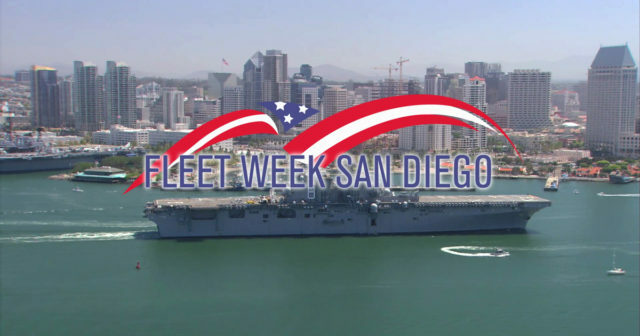 The men and women that defend the land of the free and the home of the brave are honored each year by Fleet Week San Diego’s military tribute. This year’s roster of events includes festivities exclusively for the military, as well as some spectacular events open to the public that members of the community will not want to miss. The Fleet Week Sea & Air Parade is soaring back into San Diego with great fanfare as we prepare to experience the best of the U.S. military on display and in action on September 10, 2016. The parade will run the length of San Diego Bay, beginning at Shelter Island with viewing areas all along the bayfront, from noon until 2:00 pm. For the first time since 2008, amphibious ships, destroyers, Marine counter measure ships, submarines and ships from the Coast Guard as well as the Canadian Navy will participate. In addition there will be amphibious landing craft and demonstrations of SEAL capabilities, Coast Guard Search and Rescue, and fly-overs of Navy aircraft and the rarely seen Marine F-35 fighter jet. 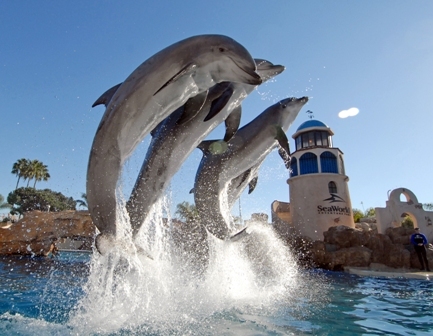 Many more activities are scheduled to accompany the Sea & Air Parade. On September 10 and 11, the Broadway and B Street Piers will host a Science, Technology, Engineering and Math (STEM) Fair, ship tours, live music, food, static displays and kids zone from 10:00 AM to 4:00 PM. 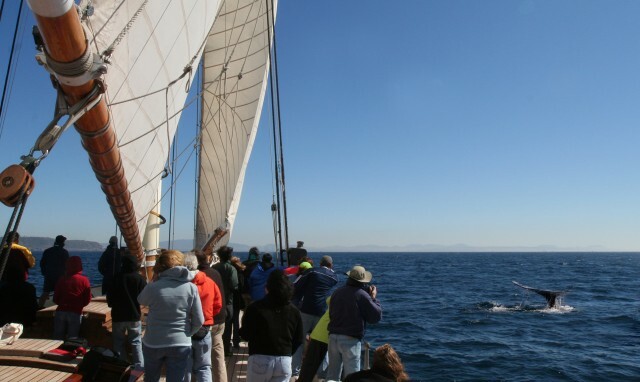 Ship tours will be open from September 10-14, also from 10:00 a.m. to 4:00 PM on Broadway and B Street Piers. To kick it all off, Fleet Week is hosting a Party at the Pier on Friday, September 9 at 4:30 PM featuring live music, food trucks and a beer garden at B Street Pier. 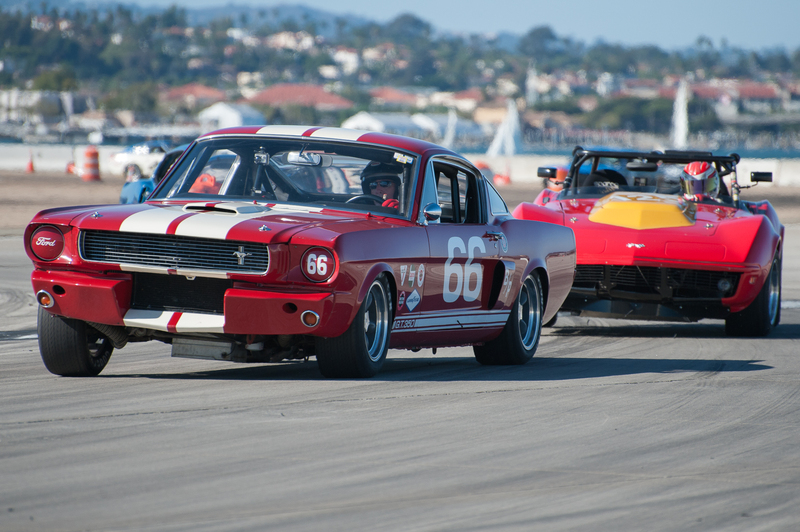 The Fleet Week Coronado Speed Festival, a.k.a “The Race at the Base,” promises a full weekend of high-octane activities and family fun, September 17-18. Grand Marshal Gary Sinise & the Lt. Dan Band will perform in concert Saturday at noon – Free with admission. All are invited as NASNI throws its gates open wide – an unprecedented opportunity to visit a working U.S. Navy base. Coronado Speed Festival features roaring auto races on a live U.S. Navy runway, flyovers, military displays and family fun for all ages. Military admission and children ages 12 and under are Free. As always, these events are hosted at little or no cost to the military families they honor, thanks to the financial support of the Foundation’s corporate sponsors and the commitment of our many dedicated volunteers. Members of the U.S. military are the primary honorees of these events but the local community is welcome and invited to enjoy many of these activities. Balboa Park offers many ways to wile away an afternoon, but for the next few months, one of the best options is at the Museum of Photographic Arts. It’s there you’ll find the exhibit “7 Billion Others” on view through September 13, 2015. It’s an incredibly moving look at the human condition and finds universal themes across drastically different living conditions and cultures. They recorded all the testimonials, ending up with a quilt of interpretations and experiences. It’s hard to avoid clichés when describing 7 Billion Others because the themes are so universal and broad. Cliché or not, we’re going to describe it here in the hopes that you’ll visit this groundbreaking work. The videos are grouped by questions and by subjects, like those of love, fear, or happiness. In one video, a Los Angeles woman admits her idea of happiness is a cliché. Every day she tries to imagine that something fabulous will happen to her. A woman from France says happiness is harder to find. She believes some people are born with a propensity for happiness and she isn’t one of them. A 26-year-old man from Bangladesh says he isn’t completely happy because he hasn’t yet found love. He asks: why don’t girls like me? Almost all of the interview subjects are filmed from the neck up, with their faces filling the frame. As you watch face after face appear, the physical differences are so captivating. It’s amazing to think we all have the same parts – two eyes, a nose and mouth – yet we look so drastically different and individualistic. The interview subjects discuss plenty of weighty topics. An Iraqi Christian woman explains that she left her country because of killings and robberies while a Serbian man, now living in France, tells of how he dreams of his homeland every night. A woman in Senegal describes poverty as a kind of violence. A man in Japan says in order to fall in love, you have to be willing to destroy yourself. One woman from Africa fears living through another volcano. A common fear across countries is going to hell or fear of God. A man from Cuba said he’s more afraid that God doesn’t exist and that we’re alone in the universe. Part of the7 Billion Others exhibit includes videos of the authors and reporters at work in the field. You see them going through footage at the end of a long day, often in third world countries. Some of the behind-the-scene videos give more context to the interview subjects. You might see their houses or families surrounding them. 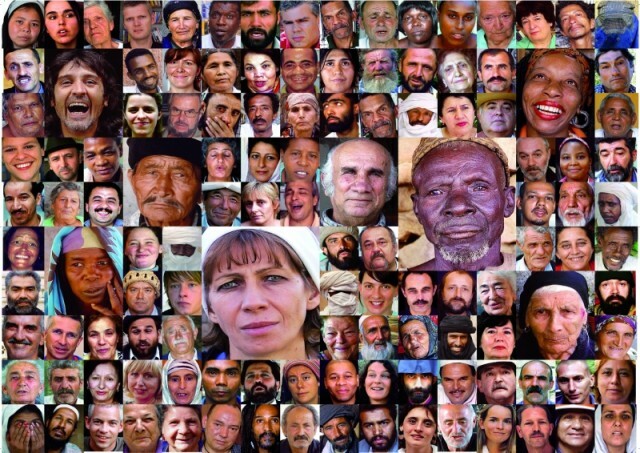 All of this creates an overwhelming sense of connectedness and understanding with individuals living across the world. San Diego marks 7 Billion Others’ U.S. premiere. I guarantee you’ll leave feeling inspired and in awe of how complex we are as human beings. Summer in San Diego isn’t all beaches and barbecues. There’s a lot of great theater happening on our local stages. 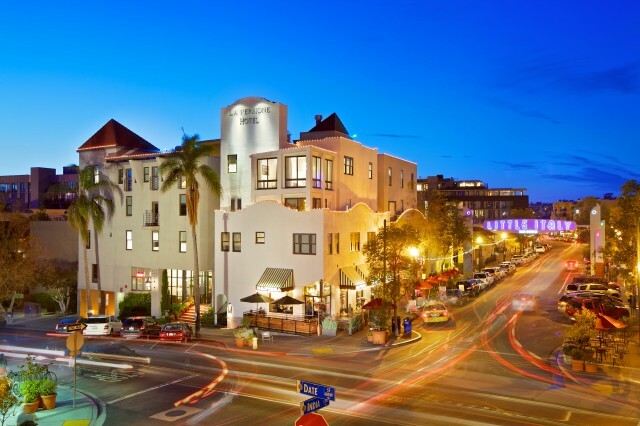 With our city’s laidback attitude and sense of style, you can leave the beach and head to the theater in your flip-flops – just make sure to change out of that bathing suit! Here are some of your best drama and musical options for the summer of 2015. 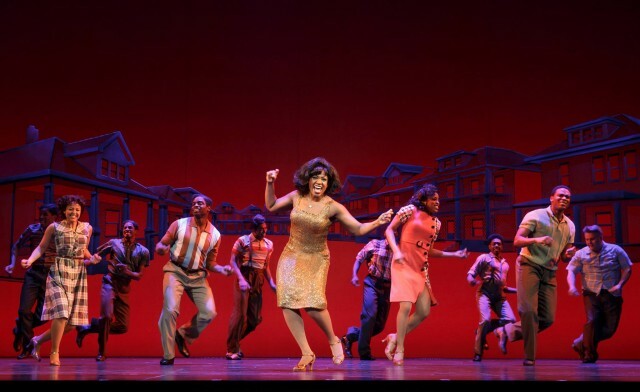 It doesn’t get more toe-tapping and hip-shaking than a musical about the greatest hits of Motown. This is the national touring production of the Broadway musical about Berry Gordy, the legendary founder of the Motown record label. You can expect to hear all your favorite songs by Diana Ross, Marvin Gaye, Smokey Robinson, Stevie Wonder and The Jackson 5. 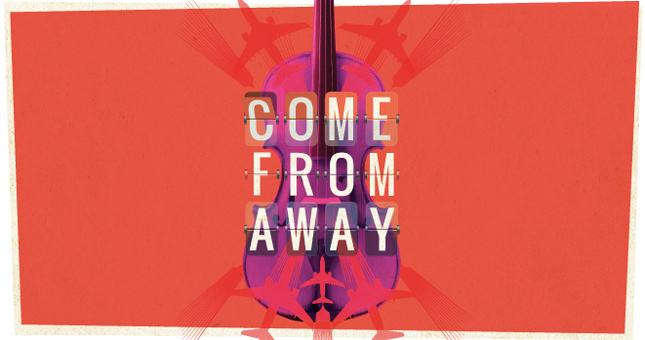 A rock-inspired, original musical about what happened to the small town of Gander, Newfoundland when 38 planes were diverted there on September 11, 2001. An international slumber party ensues, despite the tragic circumstances, with the townspeople entertaining travelers with music and an open bar. Original musicals are tough to find these days and this world premiere looks very promising. If you were around in the 70s, you surely remember these song lyrics: “Everybody’s Talkin’ at me,” “Can’t live, if living is without you,” “One is the loneliest number,” and “You put the lime in the coconut.” The songs of Harry Nilsson are so recognizable, yet not many know the story of this musician and his wild escapades. The Rep’s world premiere musical includes Nilsson’s beloved music and some top talent, including Tony-Award winning actors in the leads. Based on the classic indie film of the same name, this musical is about three young marines on the eve of their deployment to Southeast Asia. The night of debauchery turns serious when one of them becomes entangled with an awkward waitress at the center of a cruel bet. Her idealism changes him, and challenges his compassion and ideas about romantic love. This Cole Porter classic will get the premiere treatment of recent Tony Award-winning director Darko Tresnjak, who charmed audiences with his hilarious staging of “A Gentleman’s Guide to Love and Murder.” Porter’s witty songs mixed with showstopping dance numbers tell the story of a divorced couple whose battles threaten to take down a musical version of “The Taming of the Shrew.” As far as entertainment goes, this is a sure thing. For a smaller, more intimate theater experience, head up to Carlsbad to see “The Quality of Life,” a drama about two very different couples: one living in a yurt in Northern California after a fire destroys their home and another from the Midwest who recently lost a child. As the couples converge, their different life perspectives inform how they handle tragedy. Intrepid is a small, ambitious theater company that has won the praise of critics and audiences. This theater experience will undoubtedly be powerful and worthy of discussion over a glass of wine after the show. The new “Black Dolls” exhibit at the Mingei International Museum in <a title=”San Diego”s Balboa Park” href=”http://www.sandiego.org/members/visitor-information-centers/balboa-park.aspx” target=”_blank”>Balboa Park manages to be both a touching example of handmade craft and a complicated look at history. 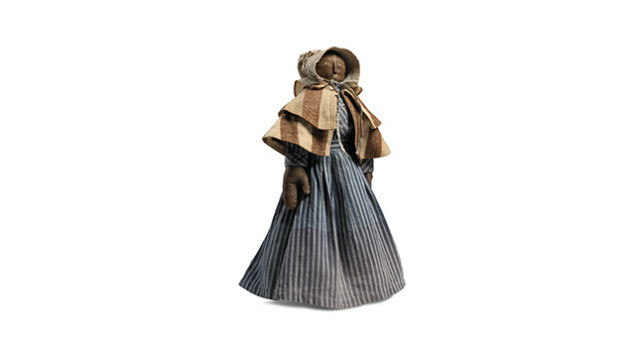 On view for the first time, 125 handmade dolls made between 1850 and 1940 provide a window into the African-American experience from slavery through the Jim Crow era. It”s not clear who made these expressive dolls. The provenance of most is unknown, but it is believed they were made by African-Americans for their own children or for white children in their charge. Today, it”s much easier for families of color to find dolls that look like them. At the time when these figures were made, most manufactured dolls were either white or offensive caricatures of African-Americans. This collection represents an effort by talented and resourceful seamstresses, perhaps after a long day of work, to create toys and mementos that proudly reflect African-Americans. The dolls are made with leftover materials and whatever remnants were readily available. Some dolls have heads made of coconuts, others of wood. Bodies are made of leather or socks and stuffed with scraps or pieces of cork. Their hair is made from scraps of yarn or animal fur. 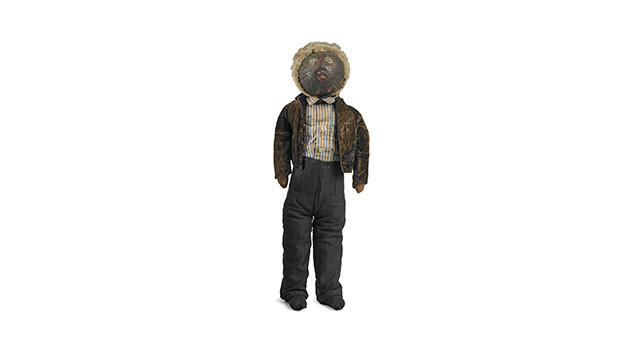 The dolls” clothing offers some clues as to when each doll was made. Some dresses are made from sackcloth, others from scraps of elaborate curtains or sleeves of fancy dresses. They are trimmed with bits of lace and ribbon. The dolls depict girls, boys, men and women. With stitched expressions, paper or button eyes, and wooden noses, it”s startling how much emotion is conveyed by the dolls, some of whom look like determined matriarchs, noble gentlemen or mischievous boys. Two dolls seem to be sisters and are very finely made. They wear silk dresses with umbrella skirts, high necks and cuffs, in the fashion of the 1890s. They have tufted mohair wigs and eyes made of beads with embroidered eyebrows and lashes. In fact, both the dolls are slightly cross-eyed. 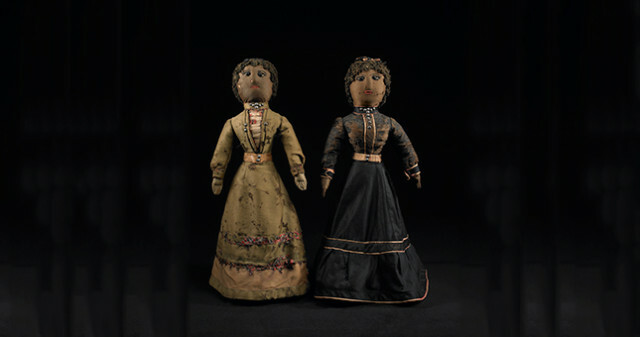 Collector Deborah Neff believes if the crossed eyes were intended by the maker, “it suggests the dolls may have been portraits of real women – or perhaps made for a cross-eyed child or by a cross-eyed woman,” explained Neff in an email. She believes many of the dolls were meant to represent real people. “Black Dolls” also includes a selection of rare 19th and 20th century photographs of dolls, posed alone or clutched by their young African-American or white owners. Surprisingly, and disturbingly, the white children are holding black dolls while the African-American children are posed with white dolls. The images provide a historical context for these handmade toys. 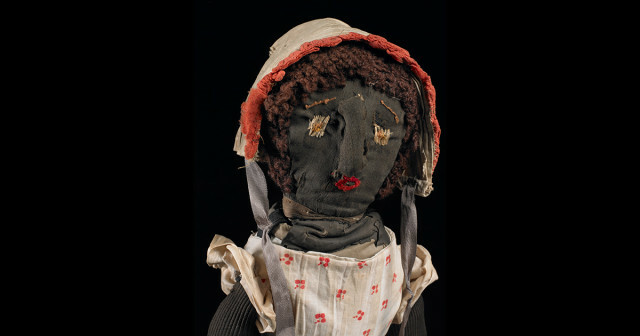 The exhibit incites wonder at the resourcefulness and care that went into making these dolls. It”s also a powerful reminder of a painful past. The Mingei has related programming that helps provide more context for the exhibit, including a documentary, a performance art piece, and a medical expert who explains the forensics behind dating the dolls. From family classics to a Disney musical, as well as some local holiday traditions, there is something for everyone at San Diego theaters this yuletide season. The La Jolla Playhouse is staging the Disney-produced, U.S. premiere of the musical The Hunchback of Notre Dame, featuring the Disney film score by the high-powered team of composer Alan Menken and lyricist Stephen Schwartz. The San Diego choir SACRA/PROFANA will serve as the show’s onstage chorus. There are massive bells and grand sets to recreate Paris” Cathedral of Notre Dame, where the deformed Quasimodo lives in the bell tower but descends to the streets to become an unlikely hero. 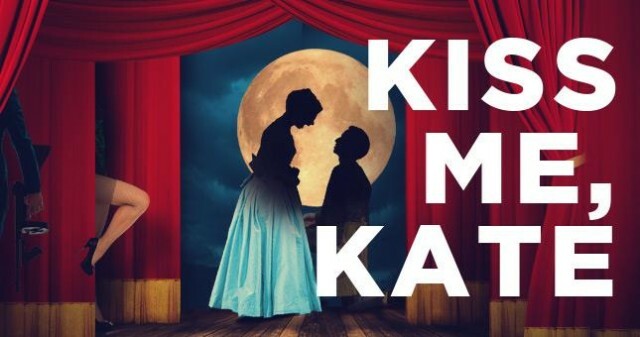 Based on Victor Hugo”s 1831 classic, the musical retains many of the novel’s darker themes, but the top-notch performances make it a highly entertaining night at the theater. Catch it before it goes to Broadway! If Hunchback puts you in a dark and stormy mood, check out The Second City”s Nut-Cracking Holiday Revue on one of the La Jolla Playhouse’s nearby stages. 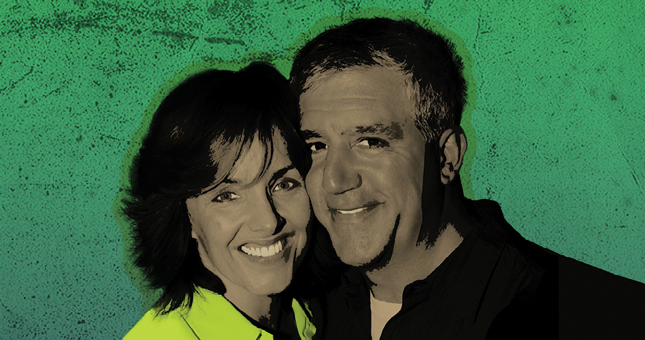 For what promises to be a hilarious night, the famed Chicago-based improv and comedy troupe performs original songs, sketches and improv. Cygnet Theatre in Old Town re-imagines Charles Dickens” A Christmas Carol as a musical. Set on a Victorian stage, there’s an original score, perhaps with melodic “humbugs” from a singing Scrooge? Worth finding out, especially since the production also includes amazing puppetry and live Foley sound effects visible on stage. It”s not hard to imagine how they”ll create the rattling chain sounds of Marley’s Ghost, but don’t you want to see what clever contraption will sound like falling snow or the sounds of London? Find out by heading over to Cygnet this holiday season. A San Diego theater tradition happens every year at the Hotel Del Coronado, courtesy of Lamb”s Players Theatre. 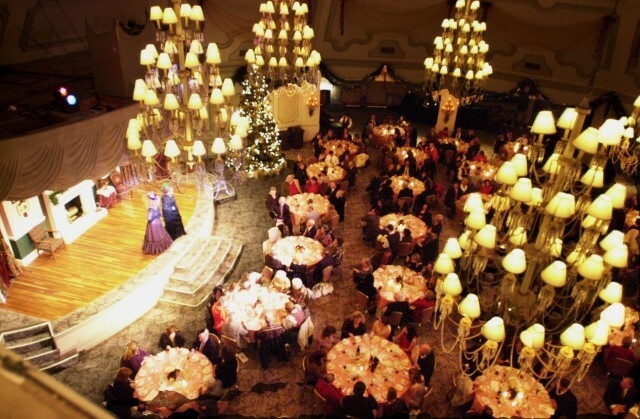 Walking into the gorgeous Grand Ballroom at the historic Hotel Del, you”ll be transported to 1914 where costumed players will dance, sing, and tell stories as you enjoy a 5-course holiday meal. Put on your best holiday attire and enjoy one of the most festive parties in town. 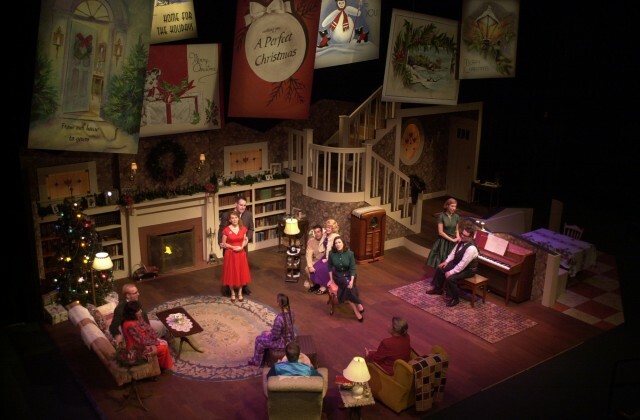 Lamb”s is also staging Festival of Christmas: Northern Lights, a holiday drama for the entire family. 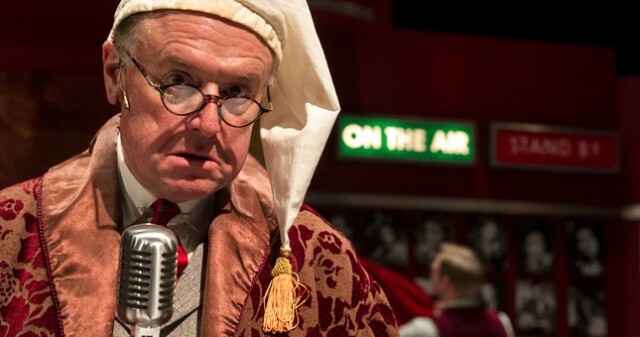 The play tells the story of three generations who adjust their traditional holiday plans after the pipes burst at the family home. Surprise guests, family discoveries, and a magnificent night sky all make for one memorable Christmas. New Village Arts in Carlsbad has the west coast premiere of The Nutcracker, the non-ballet version! Young Clara is still at the center of this drama and she’s still trying to save Christmas but she won’t be doing it on pointe. This modern adaptation is a family drama that includes magic, original songs and a bit of spectacle. Even the Grinch can”t take away the early holiday spirit. Photo by Henry DiRocco. 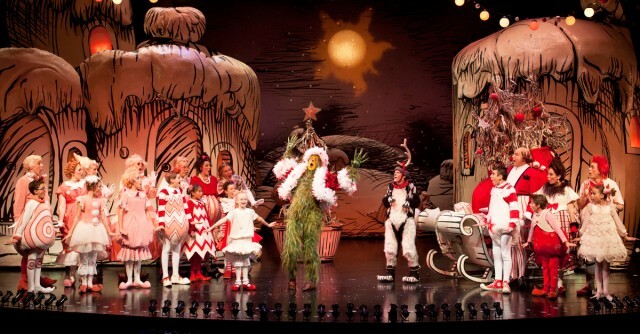 And lastly, the meanest and greenest of San Diego theater holiday traditions, there”s Dr. Suess” How the Grinch Stole Christmas at the Old Globe Theatre in Balboa Park. 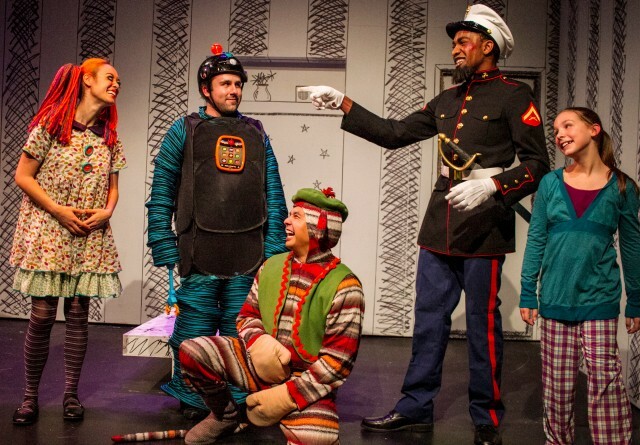 Based on the classic Dr. Suess book, this annual production of holiday cheer and whimsy is not to be missed. Kids love it, but the banter is so witty adults will enjoy it too. 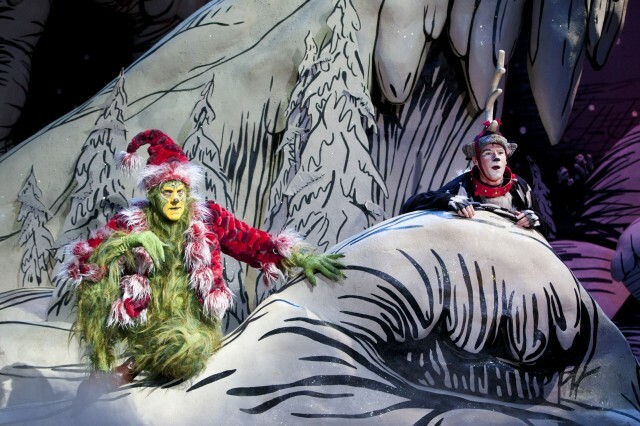 Plus, the sets and costumes of Whoville, not to mention the Grinch himself, are a wonder. Don”t forget to bring your camera for a family portrait in front of the Dr. Seuss Christmas tree in the Old Globe’s plaza.